Let me now speak a little more on the doctrines of Mimamsa. Let us not worry about whether or not there is a God. Let there be a God or let there be none. Our duty is to perform the rites prescribed by the Vedas and they will yield fruits on their own. Any work we do produces its own results, doesn't it? Why do we need God in between? The work generates results on its own. Do we pay the greengrocer if he fetches plantain leaves from our own garden? It is the same to give credit to Isvara for the fruits we reap by performing karma. We till the land and rice grows on it. It is the same with performing karma. If we do what we do not know, as told by the Vedas, we will derive certain benefits. Why should we think that the cosmos was created by God? It has always existed as it exists today: why should we believe that it came into being all of a sudden? "Na kadacit anidrsam jagat. " This universe has always existed as it exists today. Do works; they will yield fruits on their own. When the engine is wound the car starts. It is all like that. The Vedas speak about things not comprehended by the human mind. If we perform rites imposed on us by them, the fruits thereof will naturally follow. Sound has always existed: it has indeed no beginning and the Vedas are this sound. Like time and space they are ever-present. If you do evil, the consequence shall be evil; if you do good the result shall be correspondingly good. The rites keep yielding fruits, and we keep enjoying them - and thus we go on and on. No God is required for all this. We should never cease to do work because not to work is sinful. It will take us to hell. There are three types of karma: "nitya", "naimittika", and "kamya". "Nitya-karma" as the name suggests includes sacraments that must be performed every day. "Naimittika" rites are conducted for a specific purpose or reason or on a specific occasion. For instance, when there is an eclipse we must bathe and offer libations to our fathers. When a great man visits our home he has to be honoured ceremonially - this is also naimittaka. Nitya and naimittaka rites are to be performed by all. A kamya-karma is a ritual that has a special purpose. When there is a drought we conduct Varuna-japa to invoke the god and seek his blessings in the form of rain. When we are desirous of a son we perform the "putrakamesti"(sacrifice to beget a son). These belong to the kamya category. The sacraments to be performed everyday are defined in Mimamsa. "Akarane pratyavaya janakam, karane'bhyudayam"- this statement refers to two types. The non-performance of certain rites brings us ills, troubles- these form one type. On the other hand some rites bring us happiness- these form the second type. A good house, wealth, sons, fame, knowledge are part of " abhyudaya". Vedanta speaks of "nihsreyas", the supreme bliss of liberation. " Abhyudaya " is different; it is happiness on the lower plane. Mimamsa is concerned with the latter, and does not speak of the ultimate blessedness of release from worldly existence. If rites belong to the category of "nitya" are not performed, we will have to face trouble. Suppose you ask a man to perform sandyavandana and he replies: " I won't do it. I don't care whether or not it does me good ". Mimamsa has an answer to it: Sandyavandana is not a kamya or optional rite and its non-performance will bring you unhappiness. It stands to reason to say the performance of certain rites will bring you happiness. But how do you justify the statement that the non-performance of certain other rites will have ill-effects? Not performing sandyavandana is sinful, but its performance is not claimed to bring any good. 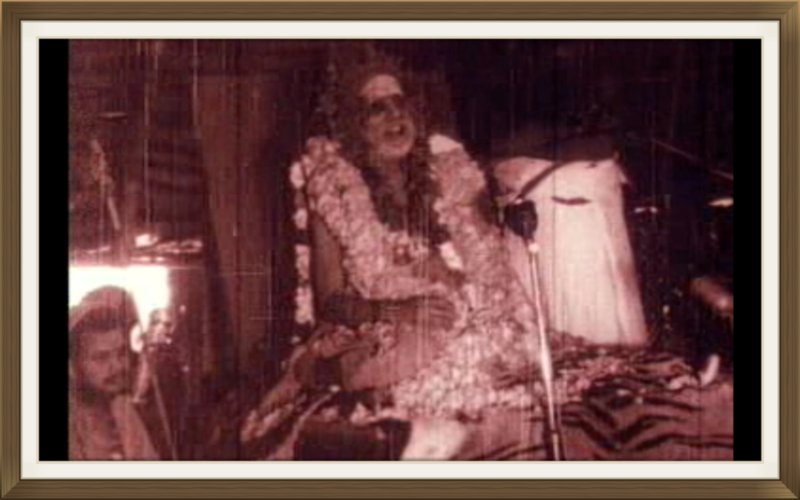 It is because this rite belongs to the category referred to in this statement, "akarane pratyavaya janakam. . "
Worshipping the deity in the temple, feeding the poor, such acts are said to be beneficial and belong to the second category referred to in the statement, ". . . . karane abhyudayam ". This makes sense. But how is it sensible to say " akarane pratyavaya janakam "? Are there examples to illustrate this dictum? Yes, there are. We give alms to beggars, or make a donation to some organisation or other in the belief that there is merit to be earned thereby. Sometimes we do not practice such charity because we may not feel the urge to earn any special merit. We have, of course, to do our duty, but not helping people with money or material cannot be said to be sinful. Suppose we have borrowed Rs. 500 from a friend or an acquaintance. How far are we justified in refusing repayment of the loan, saying: " I don't wish to earn any merit by returning your money? ". Is it possible to escape the obligation to the lender in this manner? He will naturally tell us: " I came to ask you for my money. I don't care about whether you or I earn any merit ". If we refuse to repay a loan we will be taken to court and eventually we will have to repay it along with the penalty. This illustrates the statement: " Akarane pratyavayajanakam. . . "
Not performing sandyavandana is like not repaying a debt. In Tamil the sandyavandana performed at dawn and dusk are aptly called " kalai-k-kadan " and " malai-k-kadan " [" morning debt " and " evening debt " ]. These are beautiful terms. You may wonder how sandyavandana can be described as something " borrowed ". The Taittiriya Samhita(6. 3) of the Vedas says: " A Brahmin is born with three debts. These are " rsi-rna ", " deva-rna " and " pitr-rna (that is a Brahmin is indebted to the sages, the devas and to his fathers) ". The first debt is repaid by chanting the Vedas; by conducting sacrifices and other rites the second is repaid; and by offering libations and performing the sraddha ceremony the third is repaid. The Vedas enlighten us on matters of which we are ignorant. From the pronouncements made in them, those who have faith will find reasons to perform the rites. Others who perverse in their reasoning will find an excuse for not performing the same. There are two brothers. One is a magistrate and the other a Vedic scholar. The first cannot refuse to attend the court saying, " My brother does not go to any law court. Why should I? ". The authorities will tell him: "You applied for the job of a magistrate. We issued orders appointing you to the office and you accepted the job. So there is no choice for you but to attend the court ". Similarly, we have applied for liberation, for moksa, and have received orders that we have to perform certain rites. The one who issued orders is not seen by us but he sees all and is witness to all. Such is the view of the Vedanta. Mimamsa believes that the karma that we " applied for " gives its own reward. According to it, the fruit of Vedic works come to us " automatically ". Our birth in this world is according to our past karma and we have to perform the rites that are proper to it. If we do not, we will suffer. The customs and rites must be adhered to properly. The duty of a Brahmin is to know the truth contained in the Vedas, to bring solace to those who are sorrowing and to give instruction to people in their respective vocations. Similarly, each man must perform the duties allotted to him by virtue of his birth. The oil-monger must produce oil; the cobbler must make footwear; and so on. The Brahmin must keep his body, mind and Self pure and he must be careful about what he eats. The reason for this is that not only has he to remain meditating on the Paramatman, he has also the duty of bringing others to the path of dhyana. It was for the proper discharge of such duties that in the old days he was given gifts of rent-free lands. Then every worker was allotted land. If he stopped doing the work assigned to him society would suffer. So he forfeited his land an and it was allotted to another worker. According to the sastras, not to do the work assigned to us is not only sinful but also disadvantageous in a worldly sense. In the past one earned respect only because one did one's karma, the duties expected of one. Our nation is in a lamentable state today only because of the failure on the part of the people to follow their respective callings, callings inherited from their forefathers. If everybody does his allotted job, performs the duties expected of him by birth, there should be happiness for all even in a mundane case. If there is so much poverty in the country today it is because of our failure to maintain the social order in which everybody is expected to do his allotted work, contributing to the social prosperity and harmony. Sandyavandana and the like are everyday rites. The non-performance of nitya-karma is a sin; performance means we will not incur any demerit. That apart, there will be general well-being. If we repay a loan in instalments it means that we shall no longer remain indebted to the lender (here we see a gain); additionally we earn a name for being honest and trust-worthy. By performing nitya-karma no sin will attach to us and, besides, it should mean some good to us. Thus there are two types of gains. Vedanta too accepts the idea implicit in the statement "Akarane pratavaya janakam, karane' bhyudayam". We must never fail to perform nitya-karma; for instance, Srauta rites like agnihotra and Smarta rites like aupasana. It is the view of mimamsakas that agnihotra must be performed so long as one is alive. So they do not favour the sannyasasrama(the last stage of life, that of the ascetic). In this asrama there are no rites like agnihotra. Giving up works, according to the mimamsakas, is extremely sinful. To do so consciously and become an ascetic is like embracing another religion. The Isavasyopanishad (second mantra) says that a man must live a hundred years performing works. The Taittiriya Brahmana has it that to extinguish the agnihotra fire is to earn the demerit of killing a hero. According to Mimamsa, to give up nitya-karma is tantamount to doing evil karma. "The sannyasin deprives himself of karma ('karma- bhrashta'). To look at him is sinful and you must atone for it. To look at the sinner, to talk to him, to dine with him, " say Mandanamisra and mimamsakas like, "is to earn sin. To look at a sanyasin is equally sinful. " The jnanakanda of the Vedas, speaks of sannyasa, the Parabrahman, liberation, jnana and so on. Why should concepts be attacked? What is answer of the mimamsakas to this? It is true, they say, that the Upanisads speak of jnana and Parabrahman. But what are the Vedas? The Vedas are sound, they are made up of words. Why did they come into existence? To tell us about things that we do not know. The Vedas constitute the Sabda-pramana which speaks about things that cannot be perceived by the eyes and are beyond conjecture. Their purpose is not to tell us about matters that are of no use. All words serve a two-fold purpose. They bid you "Do this" or "Do not this. " Words that speak of things that serve no purpose belong to the category of useless, idle talk. Suppose a man says, "The crow flies." How does the statement help you? "The crow is black." Do these words also help you in any way? Take this sentence for example: "Tomorrow night a discourse will be held here." This has some purpose. It gives a bit of information and implicit in it is an invitation to people to come and listen to the discourse. Such usefulness is "pravrtti". If someone says that there will be a discourse at Kumbhakonam tomorrow, it is as good as gossip. You are in Madras and how will you go to Kumbhakonam in such a short time to listen to the discourse? Any word, any sabda, must have some objective or other. It must either involve you in work, "pravrtti" or keep you out of it, "nivrtti". If the Vedas mention all the five terrible sins (panca-maha-patakas) and bid us not to commit them, it is nivrtti, because they warn us against committing those dreadful crimes. Words that do not serve the purpose of either pravrtti or nivrtti are useless. One part of the Vedas asks you to do this or that and another part asks you not to do this or that (ordinances regarding what you must do and what you must not). But there is another part which is like story-telling. The stories are meaningful only if they are connected with the injunctions and interdictions of pravrtti and nivrtti. Suppose there is an advertisement of a tonic that claims to give you vigour and strength. It carries an illustration showing a man wrestling with a lion. What is the purpose of this drawing? It is a kind of deception, the idea behind it being to induce you to buy the tonic, and make money. Such "stories" in the Vedas become purposeful only because of the injunctions associated with them and they belong to the category of "arthavada". Why does a doctor print his certificate in advertising his medicine? To persuade people to buy it (the medicine). In this way in arthavada untruth is mixed with truth. The untrue part is called "gunavada". There is another term called "anuvada". It means stating what is already known. For instance, the statement that "fire burns". Mentioning the ingredients of a medicine is an example of "bhutarthavada". "Gunarthavada" is to tell a story, even though untrue, to make it useful for the observance of a rule. "Do not drink liquor" is an injunction (or interdiction). To tell the "story" that a man who got drunk was ruined is arthavada. The purpose- or moral- is that one must not drink. To say that if a man drinks he will be intoxicated is anuvada. All told, the stories or statements belonging to arthavada must make us conform to the commandments of the Vedas. In dealing with a sacrifice, the Vedas ask us to pay the daksina in gold, not in silver. According to the Taittiriya Samhita silver should not be given as daksina in sacrifices. In this connection a long story is told to illustrate the "nisedha" or the prohibitory rule regarding silver. ("Do this" is a "vidhi"; "do not do this" is a "nisedha". ) But the words by themselves in such arthavada do not serve any purpose. It is in this manner that the mimamsakas try to counter the objections raised against their system by adherents of the jnanakanda of the Vedas. When the Upanisads speak about the Brahman there is no mention of any work to be performed. The Upanisads themselves show that the realisation of the Brahmans is a state in which there is no action. When do the Vedas become an authority? When they speak about the performance of a karma. So the Upanisads belong to the arthavada category because they deal with existing things. What is it that we must know? Existing things or the karma we ought to perform? "The Brahman exists. The Atman is the Brahman" In such pronouncements there is no mention of any rites to be performed. It is obligatory for us to conduct sacrifices and we need the Vedas only for that purpose, to tell us about such works, not to speak about the things that exist. What exists will be known at one time or another, even if we do not know it now. That part of the Vedas which speaks of existing things belongs to arthavada. So the Upanisads are not to be regarded as an authority. Then what is their purpose? They are meant to elevate the sacrificer. By extolling him he would be made to perform more and more works. It is not right to forsake karma to become a sannyasin. The Upanisadic declaration that the individual self is the same as the Brahman is meant only to glorify one who leads a life of works. The man who takes the tonic (in the story mentioned earlier) will never be able to wrestle with the lion. Similarly, the individual self will never attain the Brahman. The Upanisads are in the nature of a story and we do not need any talk of the Brahman, jnana, moksa, Isvara, and so on. Karma is all for us. So goes the argument of the mimamsakas.